The type of service your Toyota requires depends on the year and mileage. On booking your vehicle please state the mileage and age of your vehicle. You will then be informed of the type of service your vehicle requires. It may even require the fitment of a new Cam-Belt. All of the NVS Technicians are Main Dealer Trained and have all been an MoT inspector (Company Policy). Your vehicle will receive the best attention possible at Service Level due to the Expert Technicians and the use of only the best possible parts available. NVS have a “Parts Team” that can deliver any additional parts to your Service Technician within the Hour I.e. : Brakes, Fan Belts etc. On completion of the Service you will be given a “NVS Service Pack” which includes the exact “Service Schedule” for your vehicle, showing you precisely what has been done and the wear levels left on your Tyres & Brakes. 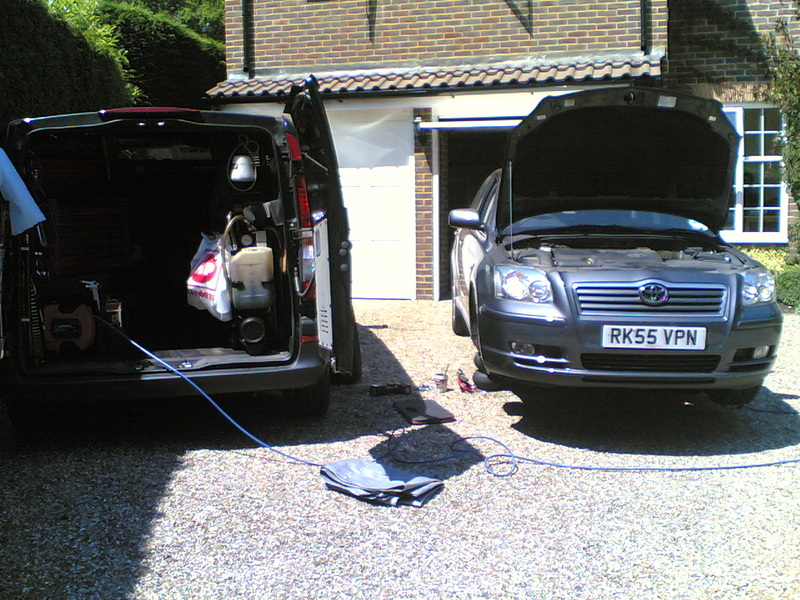 Once you have had a NVS Service we have an obligation to ensure your Toyota runs perfectly for a year afterwards, if however in the unfortunate event your car breaks down, have it recovered home and we will come and resolve the problem that day. Call the ´Service Hotline´ today to make your booking. NVS are the "On-Site" Servicing Specialist who are changing the way vehicles are serviced, removing any inconvenience, saving both time and money. 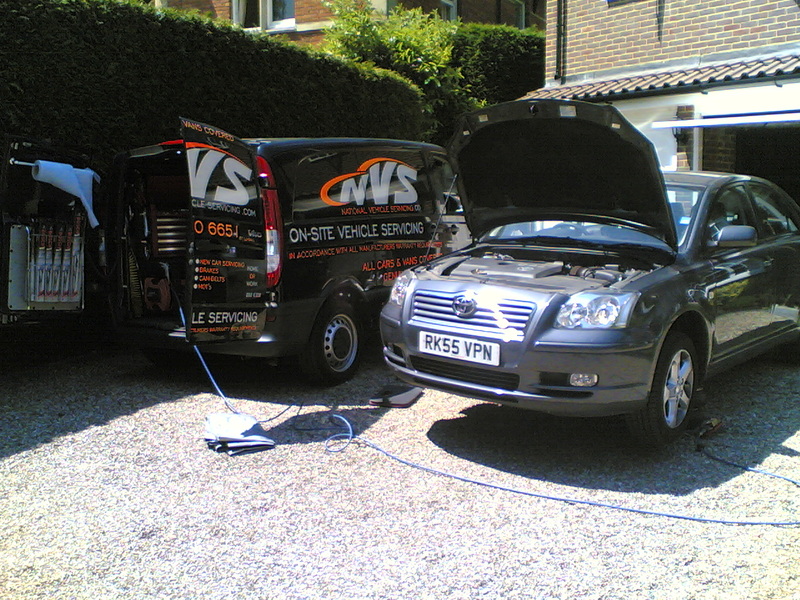 NVS will service your vehicle at Home or Work. Typically our customers include: Private Individuals, Companies and Fleet Managers. I had NVS meet me at my place of work in Bracknell. They came and serviced my BMW quickly and more importantly conveniently, without affecting my days work, so I didn't have to take any holiday time. Superb service, qualified mechanics, and generally a really nice company to work with. They are honest and efficient, and most importantly, convenient. I'm extremely busy, and find it hard to fit in tasks such as taking car to garage. NVS service is great, as they come directly to my office.